Sign up for one of the best obstacle courses in the world! Spartan Race in Tahoe gives competitors from all over the opportunity to unleash the beast. The fun begins in September, so start training and book a home with Tahoe Moon Properties today. 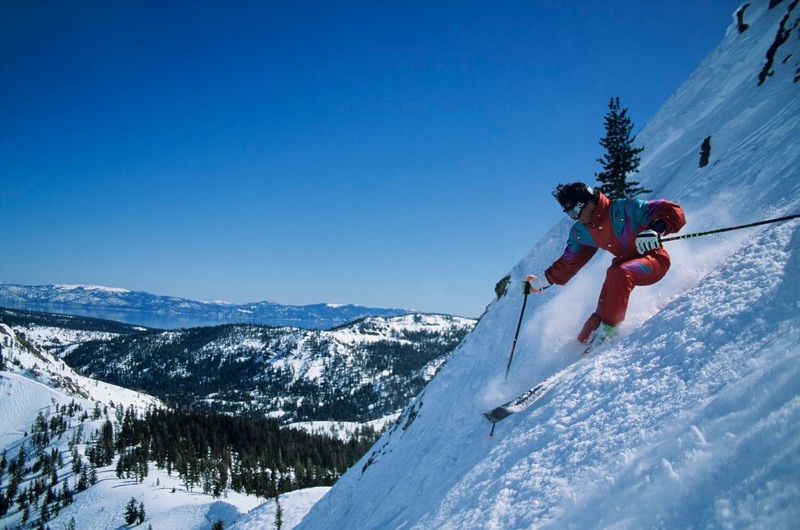 While you’re in town for Spartan Race in Tahoe, check out some of the other fantastic attractions, restaurants, and outdoor activities in the region. Whether you’re competing in the race or you’re cheering someone on, you’ll still want to make the most of your trip to North Lake Tahoe. Download our free Vacation Guide to spend less time planning and more time enjoying your getaway! The 2018 Spartan Race in Tahoe will take place from September 29 to 30. There are four types of races in total, each with different levels of difficulty or age ranges. The first is the Beast. This race is over 12 miles and features over 30 obstacles. This race will test just what you’re made of and push you to your limit. You can choose to compete as an “Elite” athlete, which is the hardest division and means that you are competing against the best-of-the-best. There is also an “Age Group,” which takes place after the Elite division. This group stacks you against other athletes in your age range. Finally, the Open Category welcomes athletes of all skill level, as well as teams. If you’re looking for more of a challenge, sign up for the Ultra Race. This course is twice as long as the Beast Course, and with twice as many obstacles. It combines the strength challenge of Beast with an ultra-endurance sport. As with Beast, you can compete in the Elite, Age Groups, or Open division. The Hurricane Heat is a unique event. When you sign in, you’ll be assigned to a team. Working together, you’ll have to move past all the obstacles and challenges. You don’t have a time limit for this event, and there are no divisions. It’s all about making friends and working harmoniously. Finally, there is a kids’ race for all of the little beasts out there. You can register for the two-mile, one-mile, or half-mile races. After you’re unleashed the beast at Spartan Race in Tahoe, you’re going to want to return to a comfortable, beautiful home with fantastic amenities. Luckily, Tahoe Moon Properties has the best selection of vacation rentals in the region. 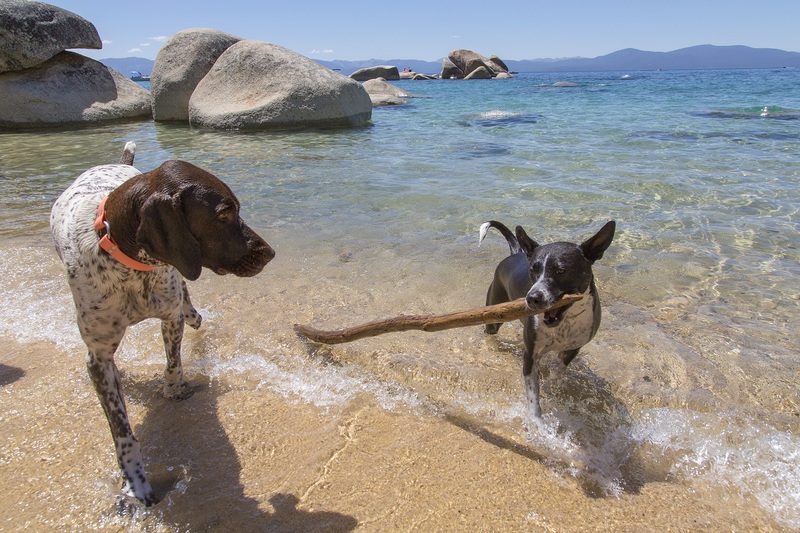 No other vacation rental management company has such a great selection, with more dog-friendly properties than any! Consider booking Pole Creek Riverfront Cottage! This two-bedroom, two-bathroom cabin is just a five-minute drive from the Spartan Race. Amenities include beautiful riverfront views, a private hot tub, and wonderfully luxurious rooms. Just imagine how wonderful it will feel to relax in the hot tub while surrounded by gorgeous forested views! This home is ideal for anyone taking a quiet vacation with their loved one or small families who don’t want to sacrifice privacy or comfort during their trip.